So I brought the bass to a luthier and he’s assessing the stability of the neck this week. 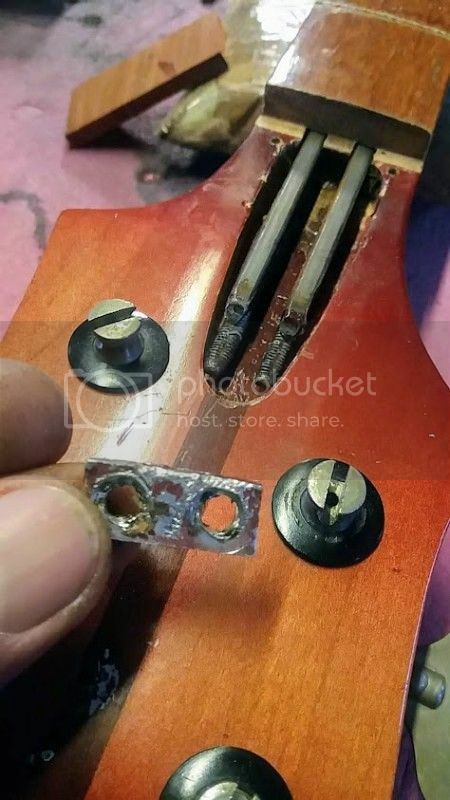 The bass will definitively need a refret and a new nut. Ouch! Gotta re-cut that mudbucker chasm clean and glue in a solid block of new maple, that has weakened the whole shebang considerably. Some people shouldn't be allowed to own a chisel. I'll be that thing sounds good with that neck humbucker. I don't have my copy of The Book handy to consult... wasn't the 4001S also set neck in that era? How did they manage routing for the neck pickup without the bass folding in half? 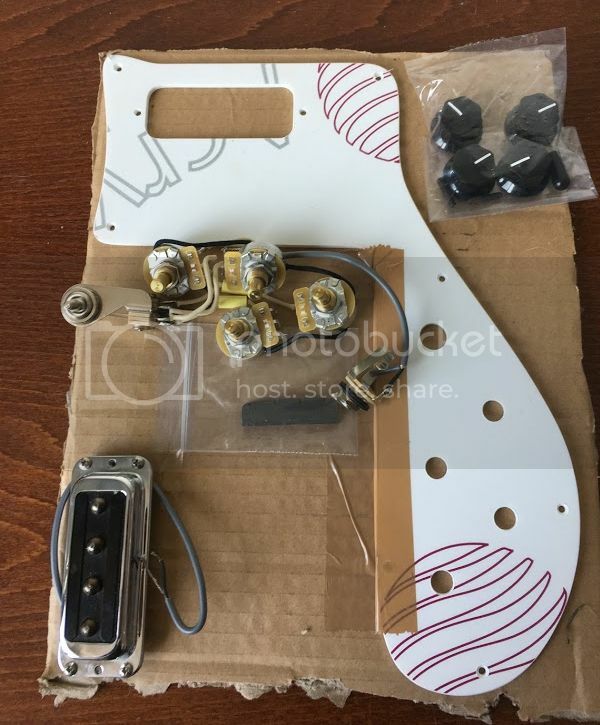 Anyone with a set neck 4001S who could take a picture with the pickguard removed? rictified wrote: I'll be that thing sounds good with that neck humbucker. Not quite to be honest. The wiring is all messed up, so it's hard to switch on both pickups or to blend in the humbucker with the hi-gain. The hi-gain on itself sounds great, but I still have a toaster made by Sergio lying around that I want to install. The old 4001S were basically the same chassis, so I asked the luthier to check out if modifying to a 4001S is an option. 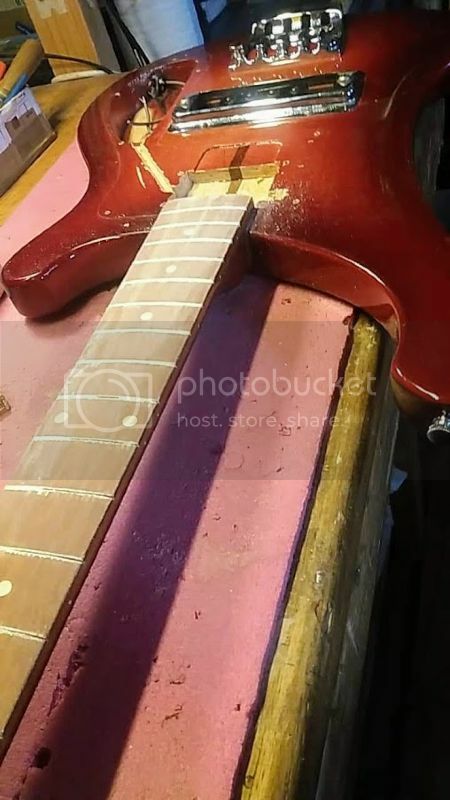 A mid-70s 4001S had a set neck? Didn't realize that. I always look for the stripe down by the tailpiece to check if it's a set neck or not. Here is a picture of the back of my 1977 4000FL BG (I don't have a picture of the neck area under the pick guard, sorry). I always preferred the 4000 to the 4001. I had 2. '73s. Both had MB serials just a few apart. The necks were more like the vintage ones. That toggle switch was always in the way. It's my understanding these set neck basses were meant really for those guitar bodies like Patti Smith and the like played. Talked to the 70's floor manager and he said those bodies sat there for a year if not years. Odd to me RIC doesn't keep the 4000 going. Much cheaper to make. Nice carving. They all look exactly the same, now. IMO. Here's a pic of my fave, a liver-colored 4000. I used Ric flatwounds and this bass had a great thump. This is from '79. The spacer is completely ruined. Is it easier for him to make a new one or do the new spacers fit an old 4000?